This really stylish small tray is probably French and made during the 1930s. 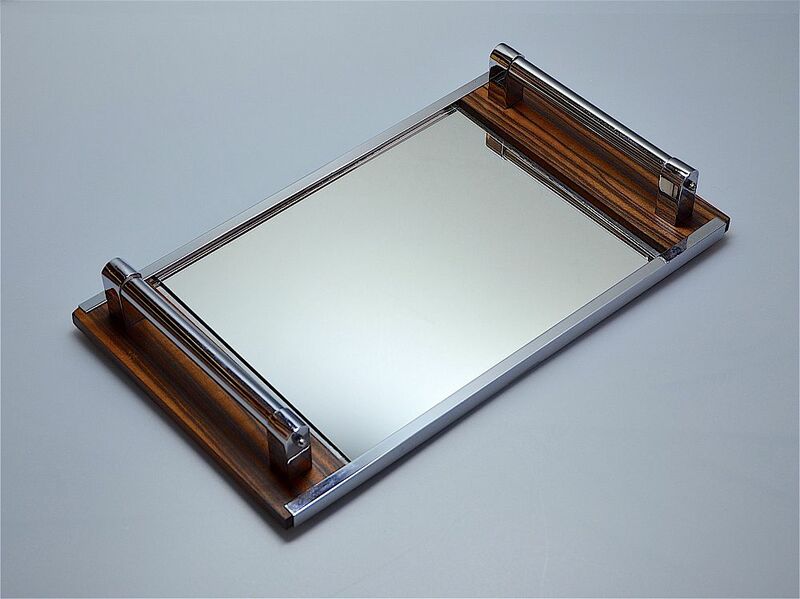 It is rectangular with chrome sides and a central mirrored base. Each end is a piece of macassar ebony to which the tubular chrome handles are fixed.